Looking for a compact and luxurious crossover? Then one of the best options is the new INFINITI QX50, available at our Appleton dealership. With its riveting exterior and an opulent interior, this charismatic vehicle is equipped with advanced safety features and intelligent cruise control, along with parking assist features. It also comes with the latest infotainment options to make your drive more enjoyable. 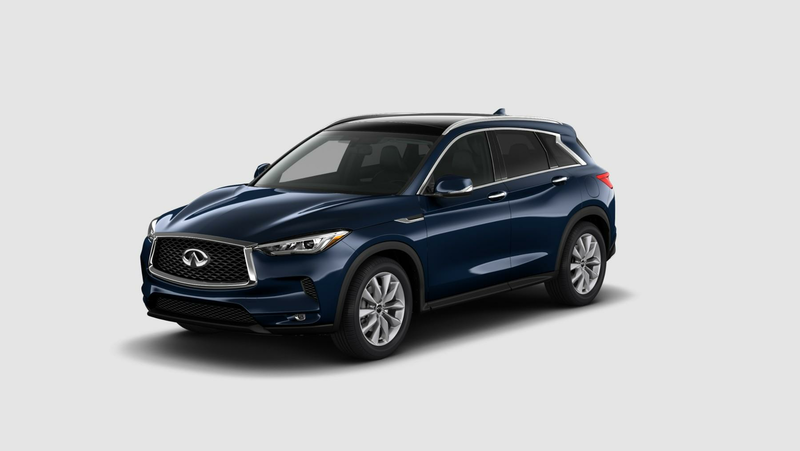 Contact us at (920) 328-5748 to schedule a test drive in the new INFINITI QX50 at our dealership in Appleton. Visit us and be dazzled with our expansive selection of other new vehicles as well. We look forward to meeting you at Bergstrom INFINITI of Appleton.